After the school bell rings for the last time, what now? Christina Kennedy gives the lowdown on the options open to you. For 12 years or more, school has been your world. You’ve been cocooned in its safe embrace, locked in a bubble of certainty and security. But now the world of adulthood and responsibility is looming large – and you’ll soon have to leave your comfort zone and start mapping your own path through life. Right now you may be focused on getting through matric and having the bash of a lifetime afterwards. But what happens after the euphoria wears off and reality sets in? Some of you will already be fairly confident about the path you want to follow. You may have started applying at universities and colleges, and have a clear idea of your future career. Others may not have the foggiest notion, and the pressure to make a decision that will affect the rest of your life is weighing you down like a ton of bricks. Fortunately, there are options available to you. There is no law that states: ‘Thou shalt go to university straight out of matric’. The world is your oyster – and (finances and parents permitting) you may just want to do something more unorthodox to reward yourself for your decade of being studious and obedient. The main thing right now is to start considering the options and assess which would best suit you. Your entire life stretches out before you – and you are now the sole captain of your own ship. Many school-leavers opt to enroll at university or college straight out of matric, for diplomas, certificates or degrees. A Matric endorsement or exemption is needed for most universities, with at least three subjects passed on higher grade – but even so, many institutions have their own minimum entrance requirements and courses may be oversubscribed, which is why it’s important to apply early and get the best marks possible. Colleges generally have less stringent entrance criteria. Full-time study is perfect for those who have a crystal-clear idea of what career they want to embark on, and who are disciplined enough to be diligent in their studies… and not get too distracted by the sudden abundance of freedom and the non-stop partying that goes with student life! A sobering reality awaits a large chunk of starry-eyed first-year students: between 30% and 40% of SA students drop out in their first year of varsity. This could be attributed to a variety of factors: inadequate guidance counselling at school, too large a gap between the standard of school and university education; a disparity between the student’s expectations of the course and the reality; and, of course, simply too much jolling and too little swotting! But a dud first year can be a costly mistake to make – so don’t enter into it lightly. Be proactive and do your homework when it comes to choosing a field of study. Speak to other students or professionals in that particular field, and suss out whether it really floats your boat. According to the Council on Higher Education, South Africa has 23 universities and universities of technology, as well as a number of private colleges and further education and training (FET) colleges. Visit www.colleges.co.za to find out who’s who in the zoo. So you have your heart set on studying further, but your matric marks just aren’t good enough? Perhaps you’ve even obtained university entrance, but you can’t get into a particular course because of that dratted D for Science? If you’re really brave, you can go back to school full-time and rewrite matric. However, many school-leavers are opting to rather take certain subjects part-time, through a public or private college. There’s also the option to register to rewrite subjects through your school shortly after your results have been released. Using private tutors or special rewrite preparation courses could further boost your marks. Whatever the case, remember that there’s nothing embarrassing about rewriting matric subjects. It’s your future happiness and career fulfilment that’s at stake. Who wants to settle for second-best? Not everyone wants to go and study, and not everyone has the financial means to do so. Bear in mind, however, that your chances of finding a job – and decent work, in particular – are increased several times if you have some kind of formal qualification. If finances are an impediment to studying further, find a job – be prepared to waitress or do menial work – and start earning money and self-respect, while at the same time putting something away for your future studies. This is the perfect happy medium for those who are desperate to study, but for whatever reason are unable to. The first possibility is studying through correspondence, via a distance-learning institution such as UNISA. You need excellent self-discipline to study in this fashion, without the motivation of attending classes or lecturers breathing down your neck! You also have to make time between work and personal commitments to attend to your studies. Another way is to apply for a learnership with one of the Sector Education and Training Authorities (SETAs), whereby you will earn a small salary while you are studying and learning on the job. There’s also the option of a vocational apprenticeship. Go to www.skillsportal.co.za for more. If you work for a boss who contributes to the Skills Development Fund, you can get your studies funded by your company. It has to be related to the field in which you are working, and if you pass, your employer can claim back your fees from the Fund and reimburse you. If you are all schooled out and need some time to clear your mind, why not take a gap year, a popular option among those who don’t want to be tied down immediately after matriculating. A gap year is traditionally spent working or travelling in another country, experiencing different cultures and broadening your horizons. The UK used to be a popular destination among South Africans, but it’s no longer as easy to get a working visa. Still, if you’re adventurous enough, you could find yourself packing fish in Alaska or au pairing in Germany. 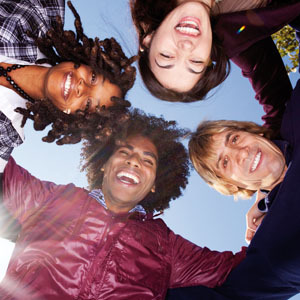 Visit www.ccusa.co.za for some gap-year opportunities in the USA. A gap year could also be spent in your home country, honing a particular skill, volunteering for an NGO or fostering your personal growth. Gap years are great for gaining perspective and maturity. But be careful: once the studying momentum has been lost, it’s hard to regain.